You might know that I co-host the Open TechCast. Everyone on the show have “fancy mics” and I have my Jabra headset, which does the job but it’s not great. For that reason, I decided to get one too. Now, that much was easy but if you’ve ever tried looking for one, you’ll know that not only there are many options available and in all sort of price ranges but also that there are almost as many opinions about them. Practically, every mic has its fans and critics in equal measure. Now, if you’ve read the title, you already know what I bought so here’s a quick note on it and I intend to add how I found it once I’ve tried it in different settings. For some reason, this mic isn’t generally available in the UK (even on Amazon.co.uk) so I had to order it from Amazon’s Global Store, which in this case was Amazon.com. I did check with a couple of Apple stores (as they’re the listed dealers) but got conflicting messages about their availability and one said, it will take 2 -3 weeks for delivery. As I’ll be travelling shortly, I wanted to get the mic as soon as possible. With expedited delivery, it took about four working days from order to delivery, which is not too bad. First look tells you that this is one sturdy and well-made bit of kit. You’ll immediately notice that it’s fairly heavy for its size but it looks and feels great. 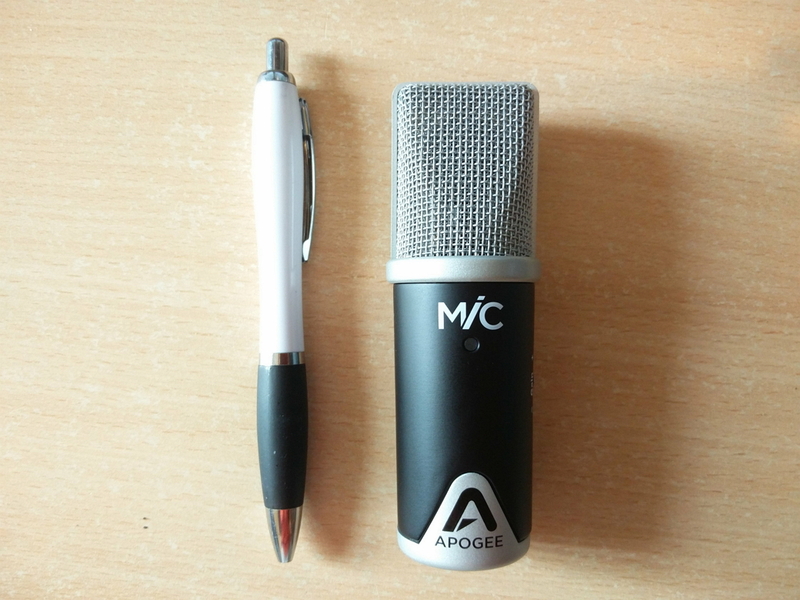 It’s a cardioid condenser mic and features a built-in 24-bit analog-to-digital converter. From the initial testing I’ve done so far, it sounds excellent and it goes without saying that it’s miles better than what I currently have. Proof of the pudding will be when we’ll do our next Open TechCast recording and you can let me know if I sound any different. You do listen to it, right? If not (shameless plug alert), I’d highly-recommend you do. Check out the Open TechCast on Twitter or the website for previous episodes. Now in most cases, it’s either going to be on my desk or in an open surrounding while someone is interviewed. So, it didn’t matter to me if it supported various polar patterns or not. I intend to be in front of it when in use and with that, it works great. Also, despite not having a pop filter at the moment, whatever I recorded sounded great. Maybe I didn’t use enough Ps and Bs in the test but it seemed OK. If this is not portable, I don’t know what is! This actually was one of the biggest selling points of this mic. That said, this portability comes at a steep price. I could have bought two Blue Yeti mics in the price for this one. This one is easy. It is indeed compatible (and with Mac too). No driver installation required – unless of course, you’re trying to have professional level recordings. In that case, you may have to additionally install ASIO4ALL driver. Just change the default microphone to Apogee 96K and you’re away. It is indeed USB and is powered by it too. I would have liked a slightly longer cable but hey! Also, don’t even try to run it on a hub or USB 2.0 for obvious reasons – the mic doesn’t like it. Given its sample rate, life is much simpler if you give it a fast and dedicated USB 3 port. Like I said in the beginning, I’ve only started playing with this mic so I might discover more to share with you all but initial indications are that this mic sounds great, is extremely portable and is built to last. So, I am happy with it so far and will keep you posted on the progress and I am sure you’ll let me know how I sound too. It mentions some of his experiences and links on the subject. Also, mentions this very mic in tweet 7/11. 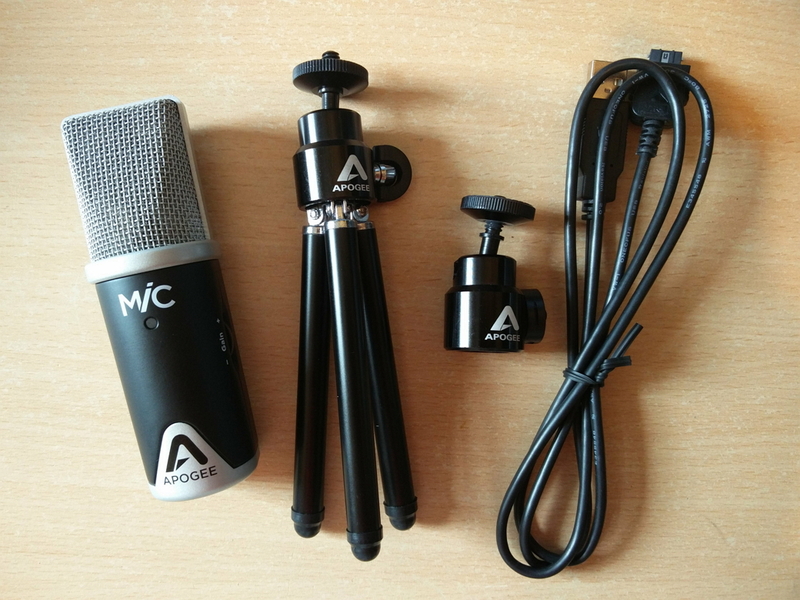 If you’re also on the lookout for a decent podcasting mic, do go and check it out too.